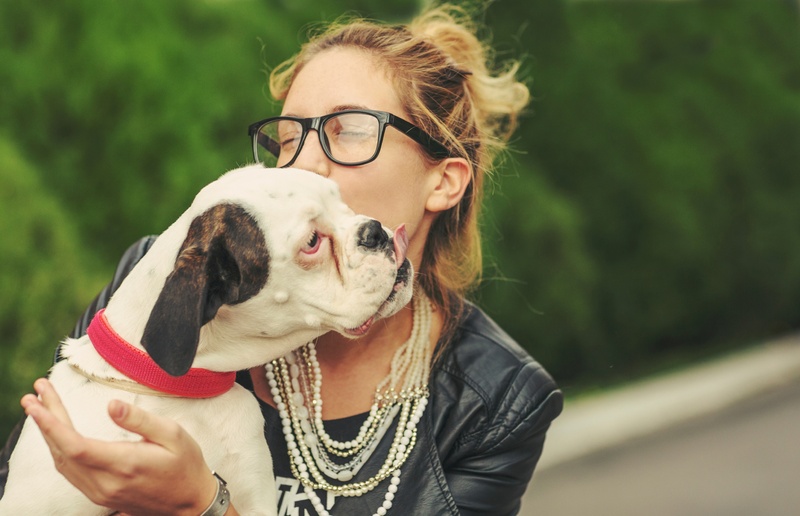 In honor of National Responsible Pet Owner Month, we’d like to take a few moments to ruminate on what it truly means to be a responsible pet owner and to consider the ways in which we meet our pet’s many needs on a regular basis. Most of us are aware that there’s a lot more to owning a pet than tossing a bowl of food out from time to time. Being a pet owner is a multi-faceted responsibility that is part commitment, part intuition, part elbow grease, and, perhaps most importantly, part love. Shelter – Pets should spend the majority of their time in a safe, climate-controlled area, preferably indoors and in an area where the family is. Nutrition – Access to high quality food and plenty of fresh water are among the most basic fundamentals of responsible pet ownership. Don’t forget, though, too much of a good thing doesn’t equal love. Please don’t overfeed or over indulge in treats! Exercise – Regardless of which type of pet you own, he or she requires daily exercise and play for health, weight management, and mental stimulation. Grooming – Grooming is more important to a pet’s overall health than many pet owners realize. Bathing, brushing, nail trimming, and ear cleaning are among the basic grooming procedures pets need on a regular basis. IDs – Make sure your pet’s ID tags are up to date and that he or she is wearing them at all times. If you haven’t had your pet microchipped yet, consider doing so. Don’t forget to update and register the microchip as needed. Emergency plan – Having a plan in place for your pet’s care in the event of an emergency that would force you to evacuate or prevent you from getting home is an important part of pet ownership. Love and attention – This part should be easy! All pets need plenty of love and attention from their human family members in order to truly thrive. Take time each day to bond with your pet through play, snuggles, or whatever way works best for the both of you. Regular wellness care is a crucial component of responsible pet ownership. By establishing a relationship with your pet’s veterinarian and adhering to the principles of good home care, you can keep your pet healthy and possibly extend his or her life as well. Annual or biannual wellness exams – Keeping up with your pet’s regularly scheduled wellness visits will not only help establish a baseline of health and behavior, it allows your veterinarian to catch and treat any problems early. Vaccinations and parasite preventatives – Staying free of contagious diseases, parasites, and parasite-borne illness is a vitally important component of your pet’s health. Spay/neuter – Spaying and neutering have a variety of health and behavior benefits, as well as helping to reduce the population of stray pets. Dental care – Good oral health is a key component to a pet’s overall wellness. Daily brushing combined with professional cleanings as needed can prevent a host of more serious health problems in your pet. Medications and other follow up care – Your pet’s health and well-being depends on you. Be sure to follow up with any medications, treatments, or home care recommendations given by your veterinarian. VitusVet can make being a responsible pet owner easier! Our free app allows you access to your pet’s complete medical and vaccination records to share with the kennel, groomer, or any alternate caregivers while at home or traveling. Our easy to use “reminders tool” helps you remember important pet care events such as medications and dosages, appointments, parasite preventatives, and more. We’re proud to help you be a responsible pet owner - this month, and always!